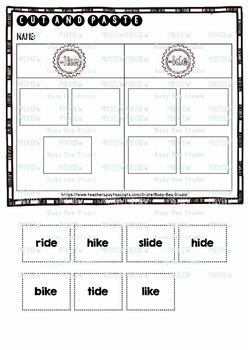 Are you looking for a fun way of practicing -IKE, -IDE, -INE, -IME, -IPE, -ICE, -IVE, -ITE words? Try these cut and paste worksheets. They can be used in stations or for homework. 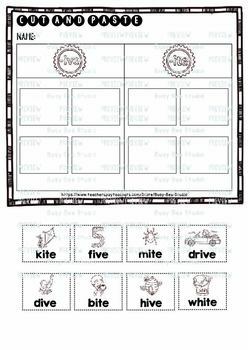 This phonics sorting set includes 4 worksheets. 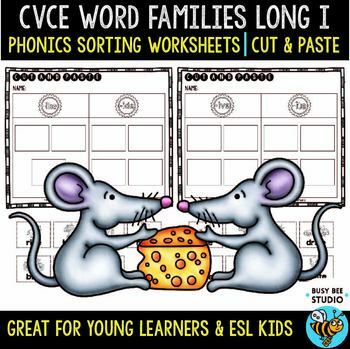 There are 2 versions of the worksheets: the first one is for beginners (pictures and words), the second version has only words without picture prompts.